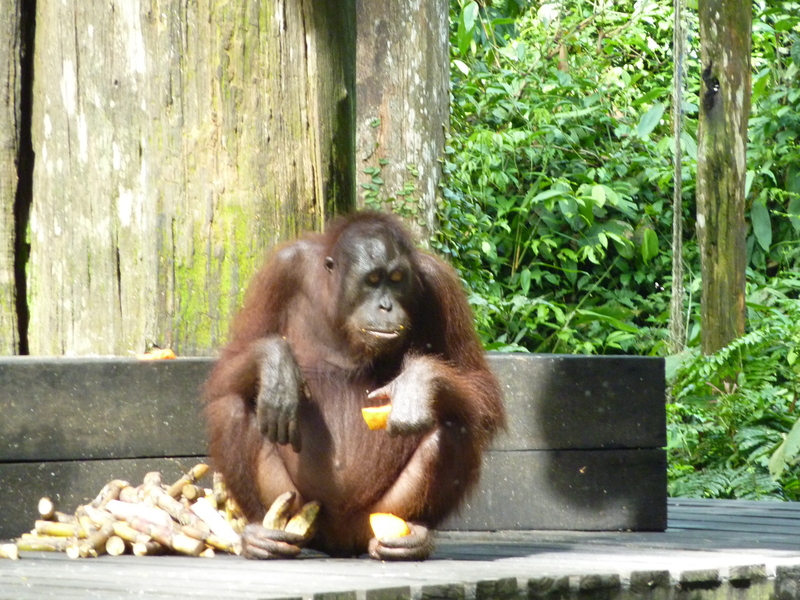 40th Earth Day celebrations include launch of Second Early Learning Reading E-Book in Support of Orang Utan Charity. To mark the 40th anniversary of Earth Day, along with 30 million other people who are supporting green activities today, I have launched the second e-book in my series of free environmentally themed children’s books. This new story, Radio Ron’s Rainforest Adventure – Crocodile Attack, is one of the first “early reader” e-books, with narration, sound effects and original music to be placed on YouTube. The HD feature in YouTube, makes an ideal reading experience on computer, TV or mobile phone screen. With a more technology savvy generation of youngsters, it is an approach that should appeal. In the US, their annual National Environmental Education Week inspires environmental learning, understanding and stewardship among students. It is this new and important commitment to environmental issues by young people that is helping to drive support of many important “green issues”. 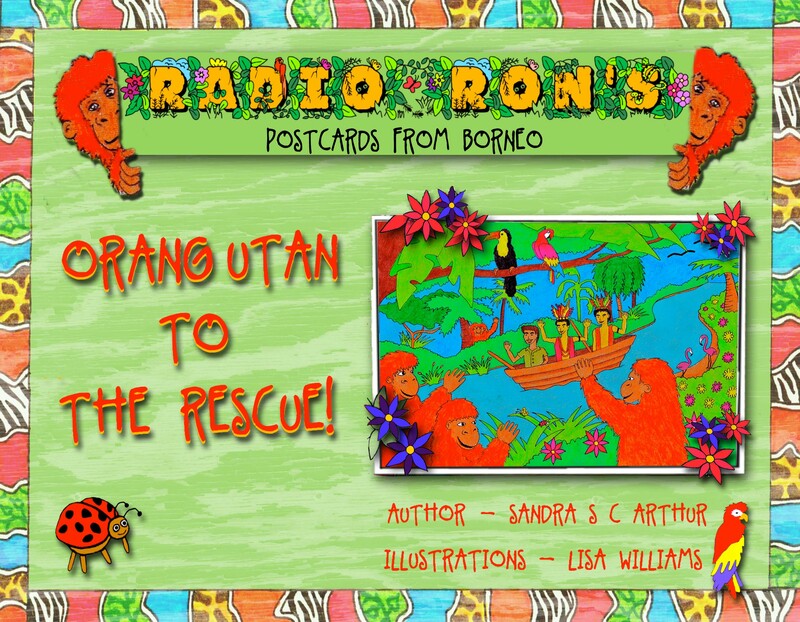 I have written the ‘Radio Ron’s postcards from Borneo series’ to raise awareness on the plight of orangutans who face extinction in the Borneo and Sumatra rainforests. Since launching the first of this series back in November 2009, I’ve been encouraged by the very positive feedback and interest that I have received from all around the world. 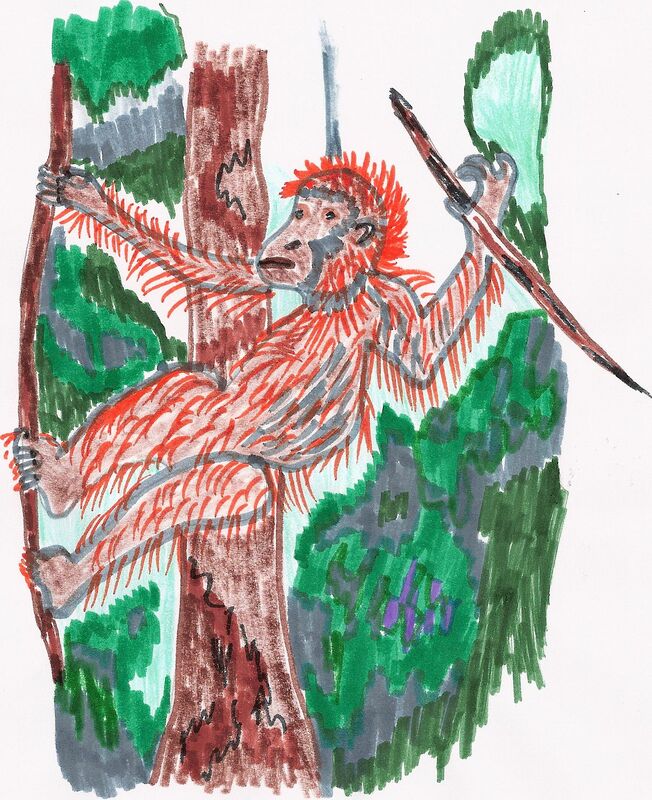 After reading this e-book people have been motivated to donate funds to orang utan charities, which is a wonderful bonus. Learning to read is one of the biggest milestones young children face. By offering a fun approach to early reading practice, these new e-books are designed to stimulate interest in nature and environmental issues. The Radio Ron “YouTube” e-book calls for readers to support the Orangutan Appeal UK – who are celebrating their 10th year charity status. 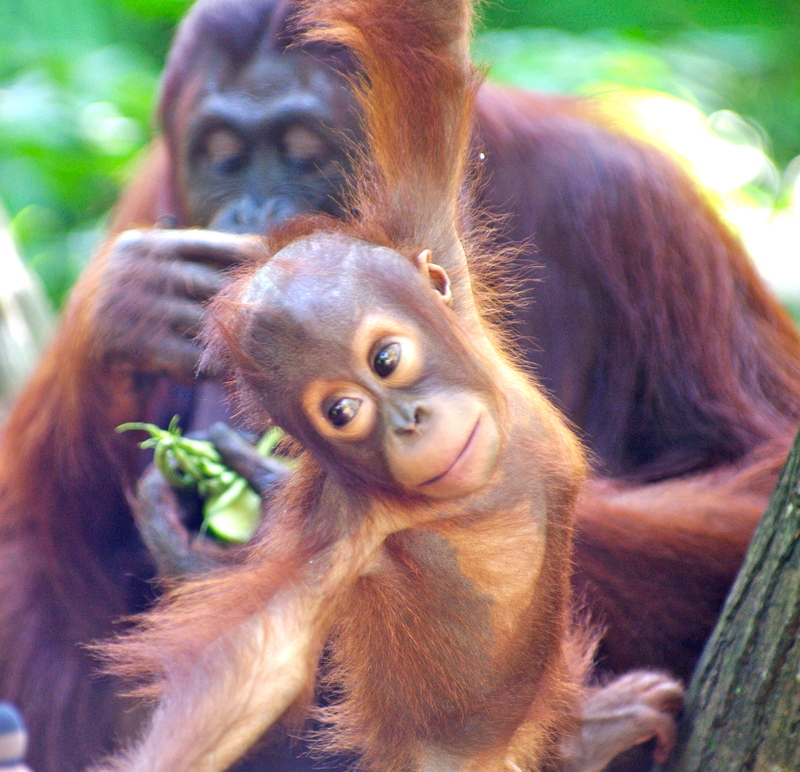 Dedicated to rehabilitation and preservation of Orangutans and conservation of their habitat, The Orangutan Appeal strives to protect remaining wild populations by supporting and funding projects across Borneo. 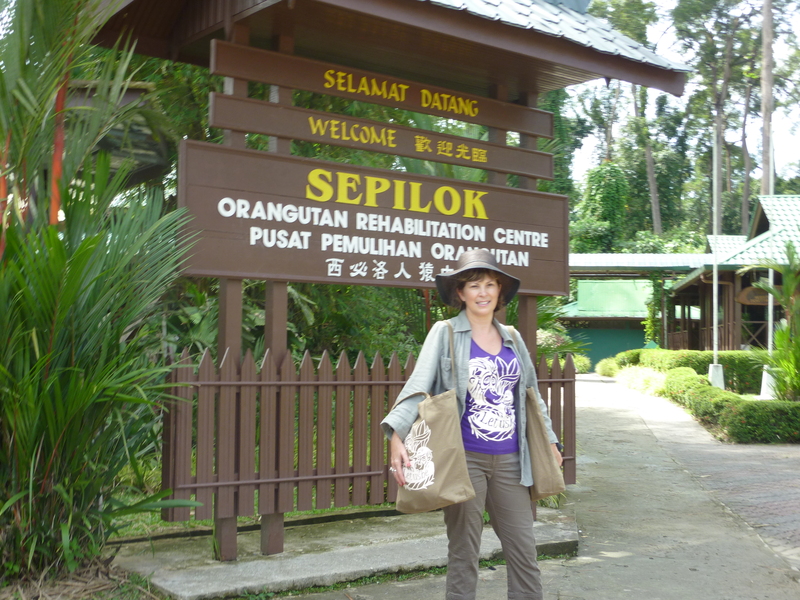 The Appeal works on behalf of the famous Sepilok Orangutan Rehabilitation Centre, Sabah, Malaysia. The e-book also highlights the expat rock band, The Benchmarx, made up from 5 teachers from the international school of Kuala Lumpur, Malaysia. The band have been “rockin’ for the environment”, an event that was launched during Earth Week, 4 years ago, raising vital funds and awareness for conservation in Malaysia. Via their music and performances the band has been helping raise funds for endangered animals such as the turtle, tiger and orangutans. 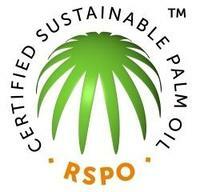 The band has donated their song “Mission for the Orangutans” which is available for download from Amazon or iTunes. 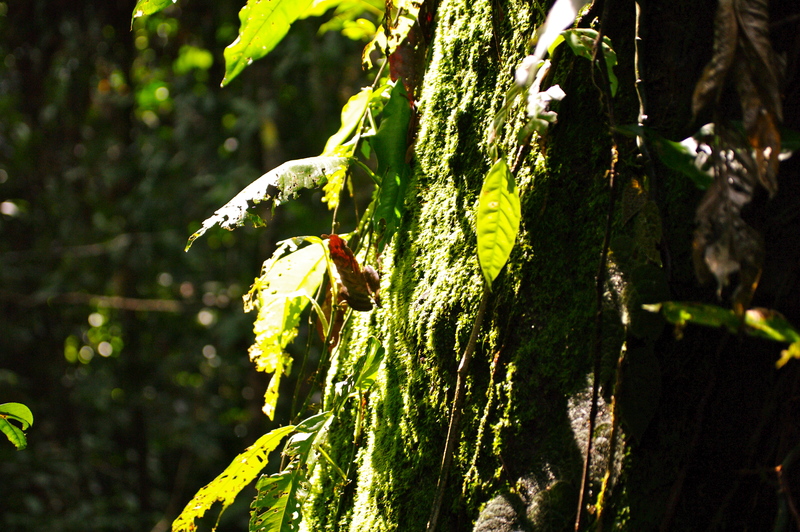 Schools, teachers and groups from around the world have used Sandra Arthur’s material because it complements the current rainforest projects in many educational curricula. 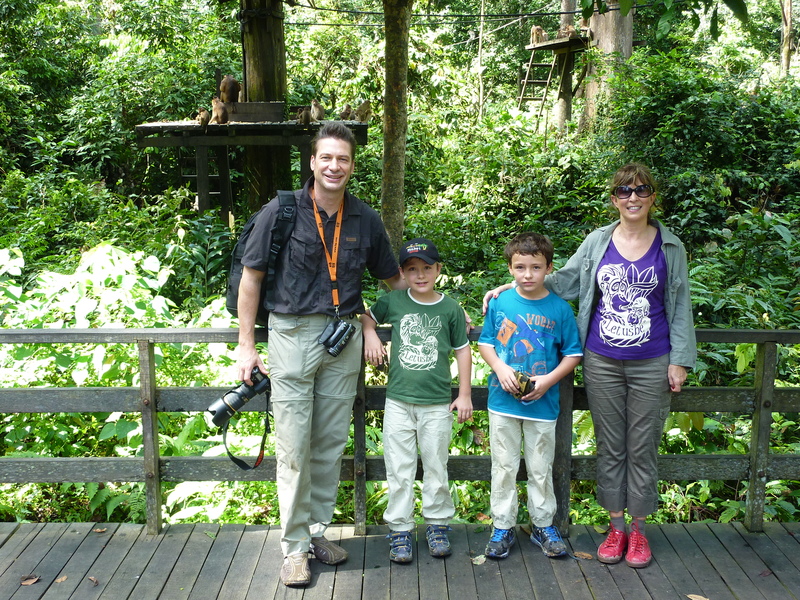 “Radio Ron” has been a true family effort and my grateful thanks are sent to my twin 7 year old boys who helped with illustration and voice over contributions, whilst voice over, music composition “Save the Orang utans” and performance and video creation have been contributed by my husband, Richard Arthur. 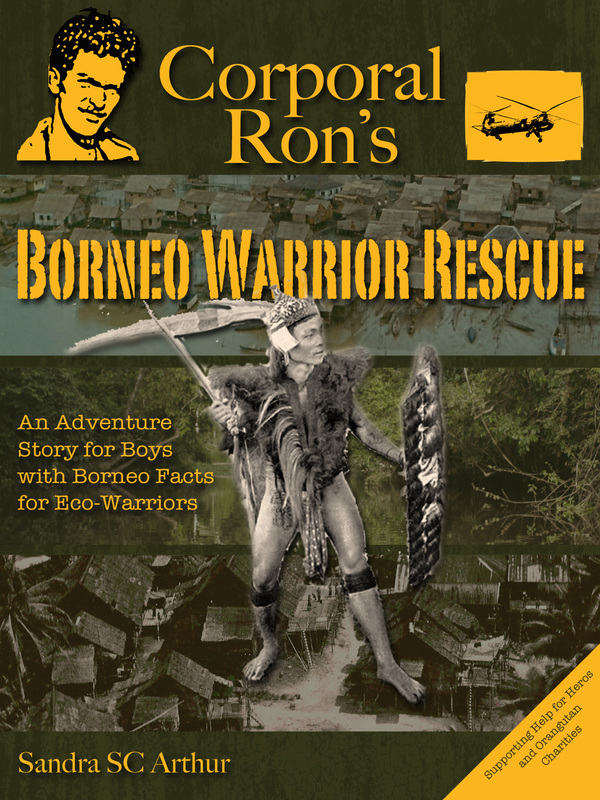 A longer “Radio Ron’s” adventure for older children (8 years +) is currently available as a free pdf file. 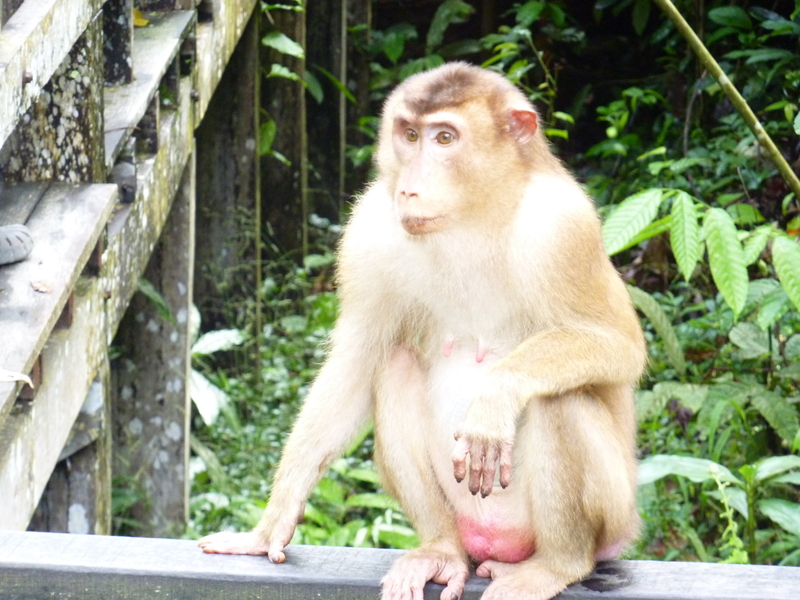 This document includes “Facts and Stats” on the Borneo rainforest and other educational guidance including teacher notes. In the same way as we must care for a tree after it was been planted, it is essential that we all work to preserve the precious animals and plants that exist in our fragile world. 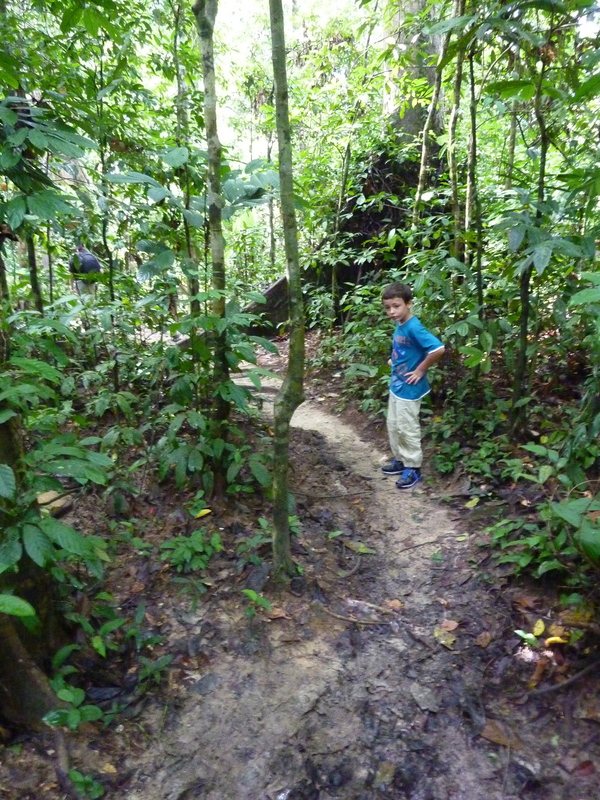 Funds are needed for a variety of projects, not least improvement to facilities at Sepilok. 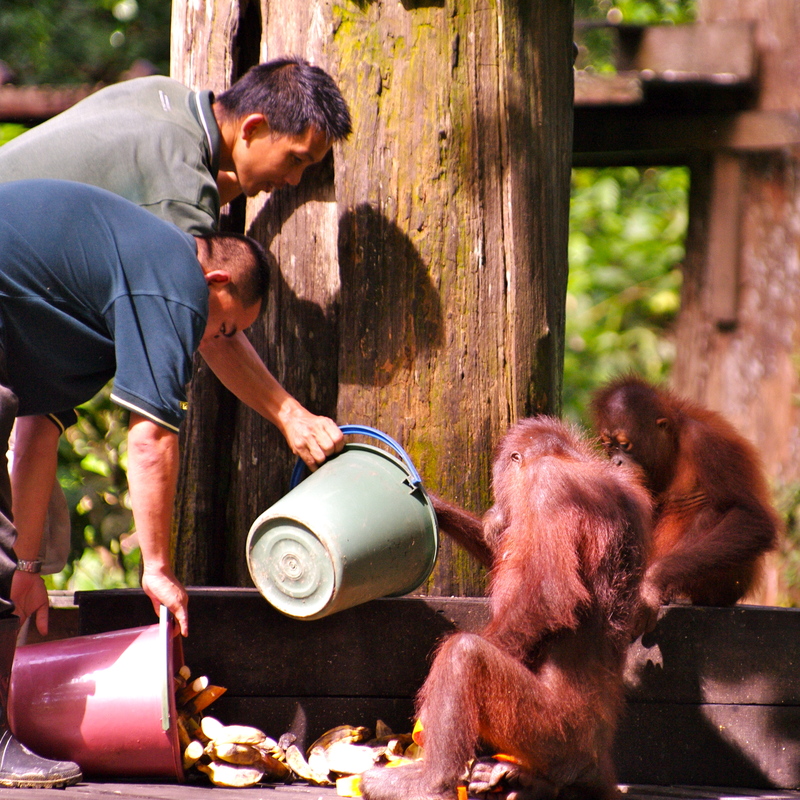 The famous Sepilok Rehabilitation Centre in the Malaysian Sabah District of North Borneo was founded in 1964, to rehabilitate orphan orang utans. 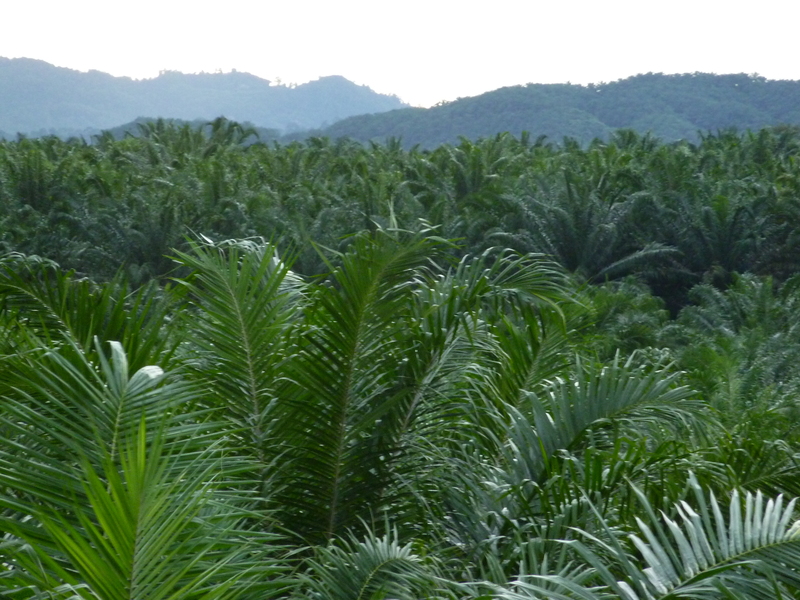 The site is 43 sq km of protected land at the edge of Kabili Sepilok Forest Reserve. 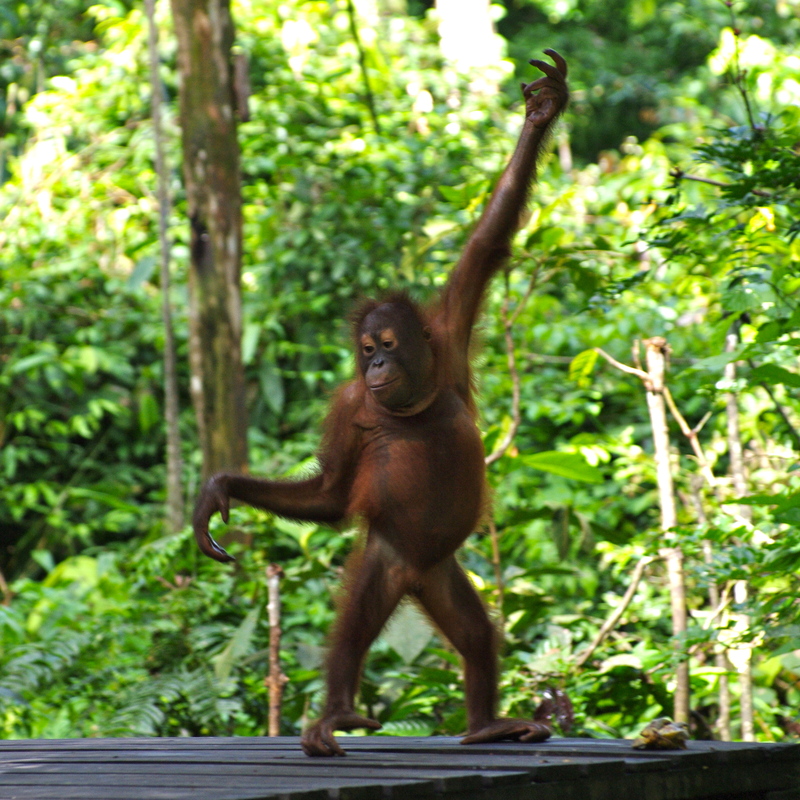 Today around 80 orang utans are living free in the reserve. 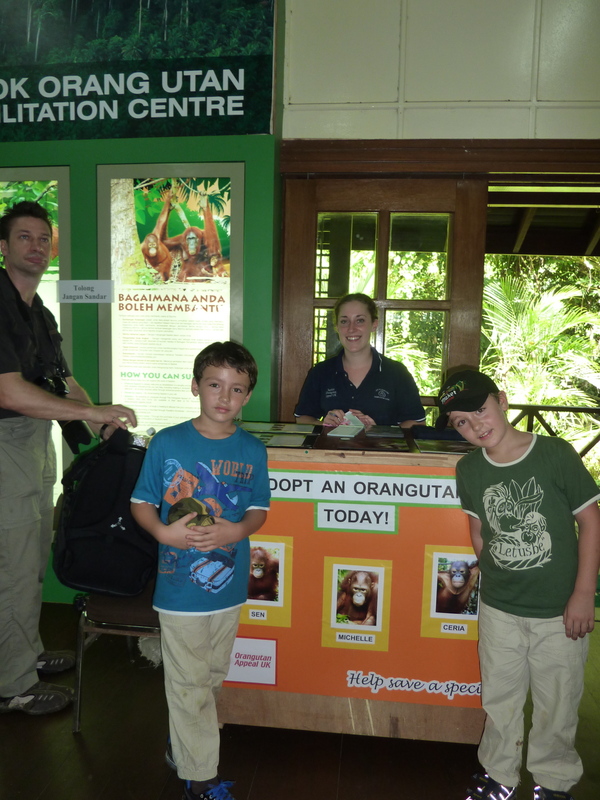 The facility provides medical care for orphaned and confiscated orang utans as well as dozens of other wildlife species. Some of the other animals which end up being treated at the centre include; Sun Bears, Gibbons Sumatran Rhinos and the occasional injured Elephant.